Tata Motors MD Guenter Butschek has noted that the Tigor electric vehicle could be offered to private car buyers as well. Currently, Tata Motors is gearing up to supply at least 7,000 units of the electric compact sedan to the Indian government run Energy Efficiency Services Limited (EESL). Mr. Butschek stated that the Tigor EV could also be supplied to private car buyers if it’s able to produce enough of the car, and also if enough demand for the electric car is generated. What is good for one (government) is good for the others (private car buyers). The question is how strong the demand is in the private sector. We have the process industrialised. The current challenge is industrialization of the entire supply chain in order to actually go for the volume requested by EESL.Our powertrain solution as we applied on the Tigor can be applied on all types of vehicles. Technology used on one can be used on the others, that’s the advantage of this powertrain solution. The Tigor EV is the first electric car from Tata Motors. The car features a 40 Bhp electric motor. The motor is powered by batteries that give it a range of 135 kilometers per charge. The battery takes 6 hours for a full charge from empty while it also supports a fast charge facility through which it can be charged to 80 % of its capacity in just 90 minutes. The Tigor Electric sedan is around 120 Kgs heavier than the diesel powered version (1,115 Kgs), with the additional weight mainly due to the battery stack. The Tigor will roll out from Tata Motors’ Sanand factory in Gujarat. 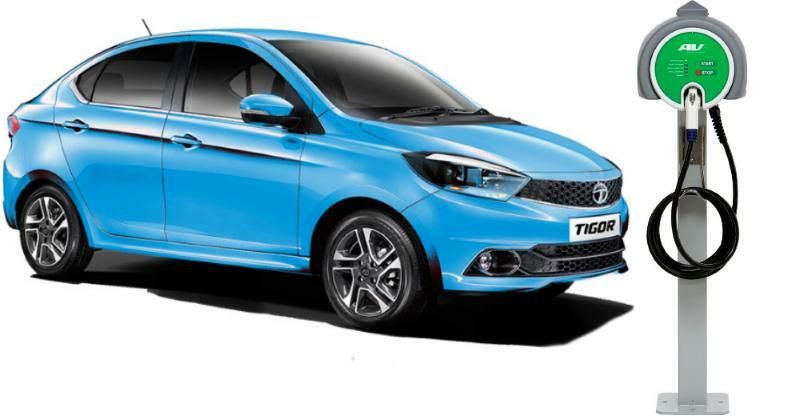 Tata Motors will supply the Tigor Electric to the Indian government at Rs. 11.2 lakhs apiece, and price includes a 5 year maintenance contract. It remains to seen at what price the electric vehicle will be sold to the general public.